Half Moon Caye is located at the southwest corner of Lighthouse Reef Atoll and just this week was selected as a top dive site by Jacksonville Business Journal, a popular business website in the United States. 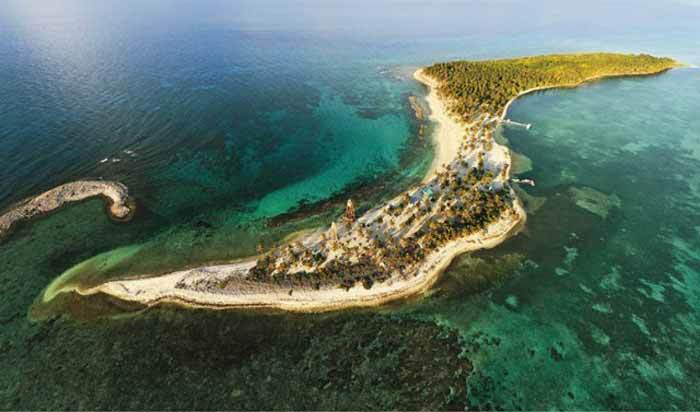 Kristina Fazzalro, the writer who put together the article entitled “10 Best Dive Sites in North America” described the Caye as follows: Half Moon Caye in Belize offers divers the chance to go on a wall dive–a dive in which the vertical facades of the earth’s landmasses are explored. The depths at Half Moon Caye (and really at any wall dive) are tremendous, giving you the very correct feeling that you are staring into an abyss. The waters at Half Moon Caye are particularly clear, despite the depth, so you will be able to see all manner of wildlife, including loggerhead turtles, rays, barracuda, and eels. REASON#5 the fact that the Caye supports the only viable breeding for the Red-footed Booby colony in the western Caribbean. REASON#6 the fact that the Island Leaf-toed Gecko, also known as the Belize Atoll Gecko, is endemic to Belize, meaning it is found nowhere else in the world. REASON#8 the fact that it is crescent- shaped and is divided into two ecosystems: on the western side it has dense vegetation with rich fertile soil and on the eastern section it sustains coconut palms and other vegetation. #9. The fact that it soothes my soul.